During the first week of April, people all over the UK will be marking Autism Awareness Week. When is Autism Awareness Week 2019? This year, Autism Awareness Day will take place between 1-7 April. The week is arranged around World Autism Day, which is internationally recognised on April 2 every year. 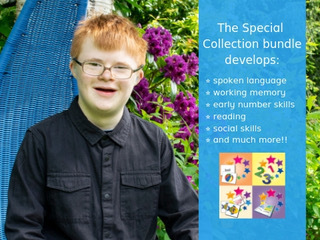 Special iApps was founded by Beverley and Colin Dean after they couldn’t find the apps needed to teach their youngest son William, who has a dual diagnosis of Down syndrome and Autism. They found that most apps had too much going on in the background and weren’t configurable or easily personalised to suit his needs. They designed a range of apps that were free from visual and auditory distractions, which could break down learning into manageable steps. 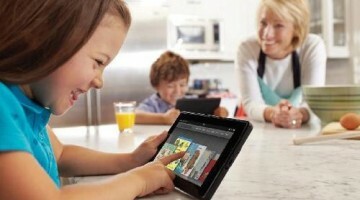 Children with autism are often drawn to tablets and smartphones. This is often because they are fascinated by details, or find the screens easier to look at than making eye contact with other people. 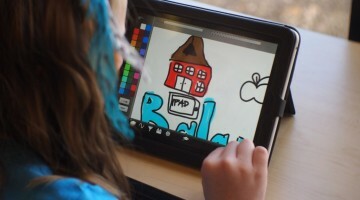 Tested and recommended by experts in ASD from many countries, Special iApps can harness this interest to help children on the spectrum learn. Autism Awareness Day is about celebrating neurodiversity and providing children with the necessary tools to learn in a way that best suits them. It is about ensuring that no child is left behind and giving them the support to develop and achieve their goals through educational technology. To celebrate children like William, this World Down Syndrome Day and Autism Awareness Day Special iApps are reducing the price of the Special Collection app bundle (for iPad and iPhone) by an additional 10% between March 21st and April 2nd. During this period, you can get 4 of our apps at 30% less than buying them all individually by purchasing this bundle. For Autism Awareness Month, we’re highlighting few of our favorite resources for families with kids affected by autism. These articles offer families reviews of apps to share with kids on the spectrum, many of whom find digital play an engaging way to learn.